Brilliant product. my girlfriend loves it, the surprise in her face when I handed her it was priceless. Superb styling that looks elegant on the wrist of the woman in your life. Great product and quick delivery. Very pleased with the product and speed of delivery. Ordering was easy to follow and no problems were there. Would use Watchshop again. Excellent product . Looks even better than the pictures . Looks really glamorous . 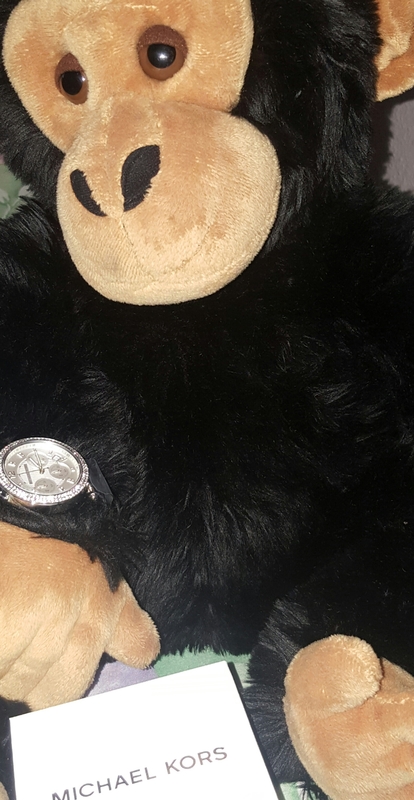 I love my watch I chose this one cause it has a big face and I can see it from a distance, I got silver one cause i have silver bracelets I did have to take it to the jewellers to get 3 links out cause it was to big. I have no problems or anything wrong or bad with the product. 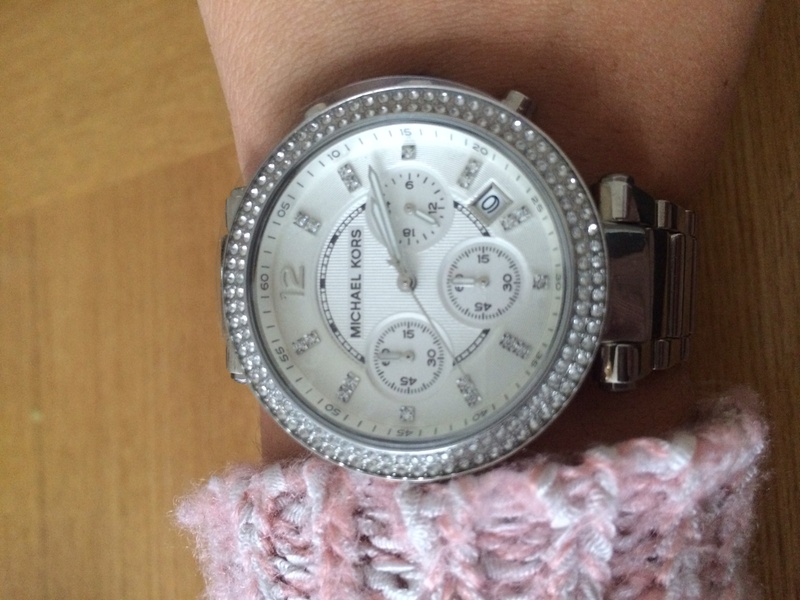 Absolutely stunning Michael Kors watch. Excellent quality with beautiful detailing. I feel amazing when wearing it as its very classy. 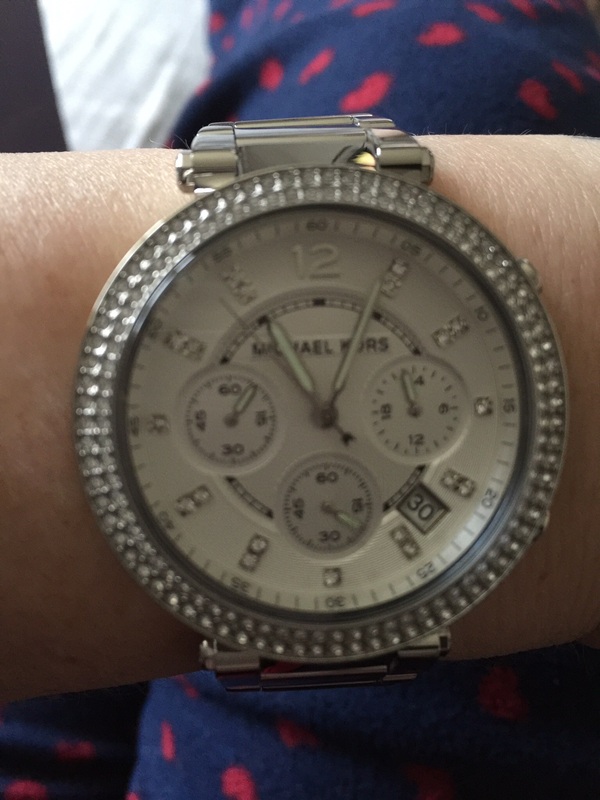 Absolutely thrilled with my MK silver watch with its diamante surround, very on trend with its chunky look and mother of pearl face with sparkly time spacers. Have been wearing this for a few days now and have had lots of admirers. The link strap is nice and shiny and compliments the face, also the clasp is a joy to open and close. An added bonus being a perfect fit!! A lot of watch for your money, really love it. Received watch after sending my measurements they were wrong Make sure you measure properly  and had to take it to the shop was expecting to pay for this as it was my own fault. Received more amazing customer service when it was expertly fitted free of charge by a lovely lady at goldsmiths. Absolutely beautiful watch and great service from start to finish was kept updated with emails telling me how long it would be for adjusting and as soon as it was posted will definitely be buying from watch shop again in future very happy customer. Easy to use web site, quick delivery and excellent quality. Would recommend to anyone. Never ordered from Watch Shop before but i can truly say it will most definitely not be the last time!! This watch arrived after only one working day from purchasing it online and was beautifully packaged. It is absolutely beautiful and i feel the photos online do not do it enough justice! It features a white face which really sets off the silver watch, the face doesnt lie flat on the wrist which really appeals to me as it stands out more without being too chunky looking. I love love love it!! This watch is really beautiful. I have to admit when I first saw it I didnt like it but when I tried it on I fell in love with it. So initially I had my heart set on a different watch but Im so pleased I bought this. Its not too blingy but it really makes a statement on my wrist. Oh and I love how chunky it is without it looking too big so would definitely recommend this watch! Im even considering getting it in rose gold too. The best service and experience I have had, evrytime I got notification where my product was and got delivered in time. excellent service, bought as a xmas present, my daughter is very happy with the product, easy to order and fast delivery. This watch is lovely. It isnt too fancy but still looks fantastic. Its body is chunky whilst the bracelet is light and comfortable. Bought as a surprise present and was a 100% success. Excellent style of watch bought for my 15 year old daughter with clear watch face & bling decoration around the edge of watch face a perfect buy for any teenager!. Lovely watch. Feels heavy and not at all plastic-y like some fashion watches. Very welcome gift for fashion conscious teen! Bought it as a Christmas present for my wife. She loved it! Beautiful watch! The package came in perfect conditions and arrived at the next day after the purchase! Definitely, I would recommend! Like the watch and arrived in time. Really amazing gift, she loved it. Classy watch. Better than i expeted great price. And a fantastic next day delivery. I am very pleased, looks very elegant and the detailing is perfect. 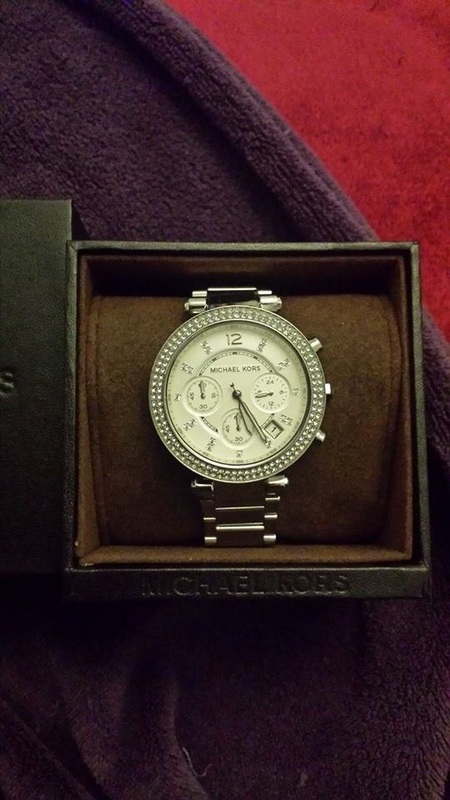 I ordered this beautiful Michael kors watch for my wifes xmas present,very easy to order and paid the extra to have it gift wrapped,it was delivered 3 days later and the wrapping looked lovely.im sure my wife will be the thrilled when she opens in on xmas day. Lovely watch suitable for day wear bit also dressy enough for evening wear. Bought this as a gift for the girlfriend... She could not have been happier, the watch is of excellent quality and style. It looks as if it shouldve cost 10x the amount it was!! A very classy watch for a very classy lady!! Bought for a Christmas Present - looks lovely in the box! Love the watch so much. Bought it for my best friend and she loves it too amazing quality. Comes with all the original packaging and information about the watch, just so happy. Excellent service and reasonable value and reliable . I am very impressed with the watch shop. 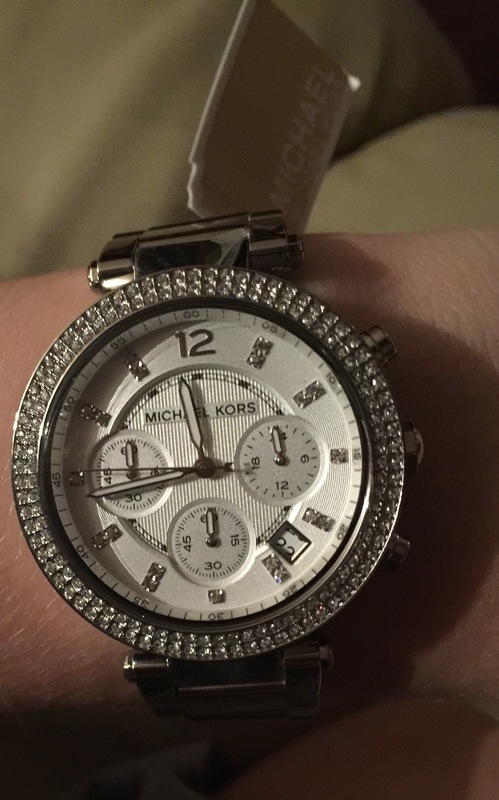 I bought a Michael kors watch for Christmas for my girlfriend, it came very quickly and it looks really nice! Will definitely use this site again. Smooth transaction and quick delivery, very impressed. A lovely timepiece which looks far more expensive then its price. I brought the watch for a Christmas present, its absolutely lovely, it comes presented in a lovely box and the delivery was really quick. Excellent price. This is my 3rd purchase from the watch shop, and will definitely buy from again. Wife loves her new refuses to take it off. Totally recommend buying from Watchshop excellent customer service . Thanks. Really easy prurchase & collection was smooth, brilliant! Bought thsi for my girlfriend and she absolutely loved it. Looks alot more expensive that what it was. Would recommend this to anyone looking for a nice all round watch. Very prompt and friendly service. Would recommend to all. Highly recommend The Watchshop, fast delivery & quality goods. Extremely happy with my gift. This is a quality item at a reasonable price too. The watch oozes quality, is well made, looks very nice on the wrist! Obviously time will tell as to whether the look will last in terms of wear. Lovely gift! I order this as a Christmas present. Beautiful watch, great service, super fast delivery. Really like this watch, quite simple with sparkle detailing around the face. Bought for myself as a present with some Christmas money and I really like how it looks. Lovely watch fabulous present to receive !! This stylish watch looks and feels lush, the detail gives any wrist the added bling factor, enough said. Really really pleased with my purchase of the MK5353 watch. Its a lovely looking watch with excellent craftsmen ship. The strap is a good length so gives the extra advantage to be shortened if required. Cannot wait to wear this watch on Christmas Day. I found the service very efficient. It was delivered on time and the price was brilliant. All in all, very happy..! 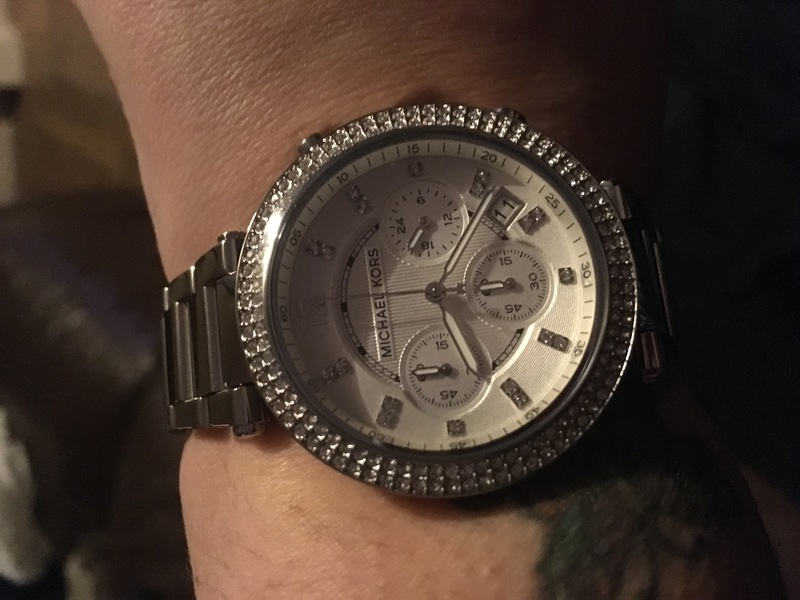 I got this gift for my wife - a month after our wedding - she has always wanted a Michael kors watch and I had to treat her. Her face was a picture when she opened it. The quality is 120% and well worth what I paid for it. The fit is perfect and was fully working with battery when arrived. The service from looking to receiving the watch was top customer service. There is nothing we dont like about this watch and the features on the watch to the crystals are all top quality. This is what a newly wed wife deserves and we thank you watch shop for this amazing product. I will definitely be getting my Christmas gift watch from yourselves as the delivery was super fast. Thank you again youve made a woman very happy. Watch is stunning, very fast delivery service, I have bought this watch as a gift and I am able to take the person to my local Goldsmith store to have strap adjusted. The watch shop always reliable. Its a very nice watch .its for my daughter for her birthday 11 12 16 .thank you . All went very smoothly,nice online site easy to use. First time buying anything on line , was surprised how simple it was & the delivery was there on day you said it would be. Very impressed, excellent. Beautiful watch a Christmas present for my daughter. Such good value , she asked for this watch and I didnt think I could afford it until I looked on your site. She will be so pleased cant wait to give it her. 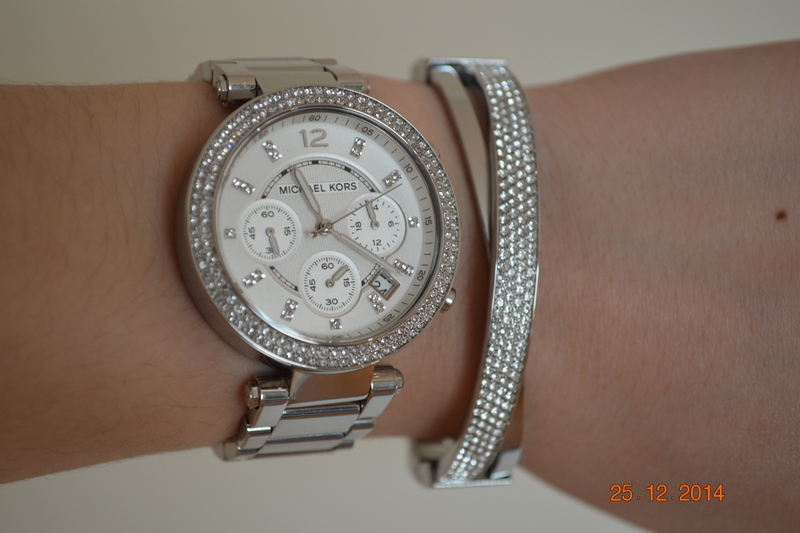 This is a Christmas present for my 17 year old daughter so unable to give a proper review as yet but watch looks fab and ultra trendy and just the look for young trendy girls. 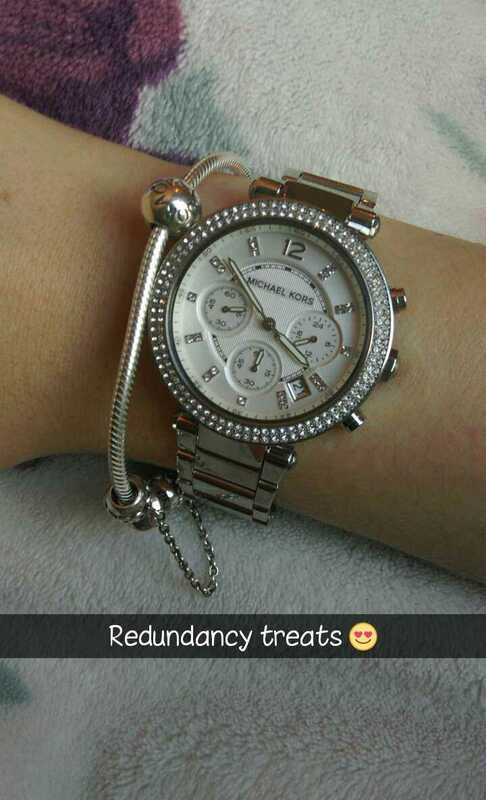 Im in love with this watch , my start my own collection. Excellent postage service. Have yet to take watch strap to get altered hopefully as stated it will be free to do this. Bought this watch as a 16th birthday gift for my daughter she had been wanting it for a while after days searching the web for the best deal and site I trusted I decided to go with the watch shop and they didnt disappoint. I went for the silver stainless steel one as I know it wont fade like the gold one. The watch arrived very fast within just over 24 hours of purchasing it & it was packaged perfectly which was excellent. As it was a gift I needed to take the watch to my local goldsmyths store to have the strap altered 3 links where removed making it the absolute perfect fit for my daughter. The customer service I received from goldsmyths was excellent and they packaged the watch beautifully in a very posh bag I also took out the 3 year cover against damage which only cost £18. 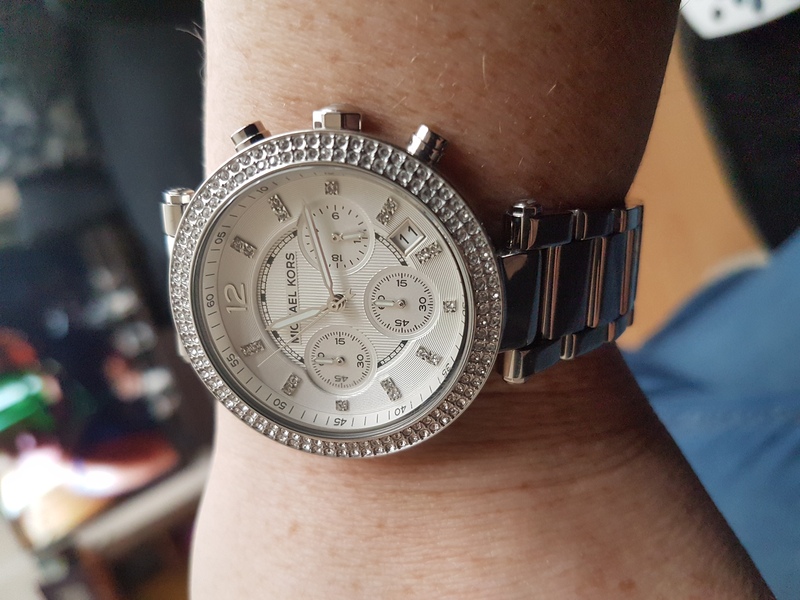 I am absolutely delighted with my purchase it was such a bargain only £118 with discount for a genuine Michael kors watch which retails at double that inajde the store. I will most definitely be shopping with them again in the future. Thankyou so much for such a pleasant transaction and putting a huge smile on my daughters face. Daughter was delighted ,Have used your watch shop site before so I know I get great service, thanks again. Affordable watch price for such a great valued watch! Very stylish fashionable watch for my daughter, bought for a Christmas present. It was hard to choose from a great collection. The watch is waterproof so can be used in the bath or shower. exceptionally good level of service, i would definitely recommend watch shop to purchase watches from . I love my watch and the price !! Excellent . Watch shop £121 , n on high street shops £229. Its an amazing save !!! The delivery was fantastic - ordered on Saturday and delivered on Monday morning. The watch is beautiful and the price was cheaper than other competitors. Hi, I dont normally write reviews at all about anything. The reason for me notifying you about how your service was is because I have purchased a lot of watches in the past for myself, friends & family but have not had a lot of luck with it. The watches are either over priced, difficult to purchase off of badly laid out websites or in some cases have been lost in transit so forced to obtain a refund. Your site was the first to pop up when I started the search, it was laid out very well which made it easy to navigate around. The watch showed up to my address exactly when it said it was going to. So my girlfriend, who it was purchased for was very, very happy! Thank you for a perfect service, I will be back again very soon to purchase my next watch! An absolutely fantastic watch I love it !!!! This was a present for my daughters 40th birthday and she loves it, definitely worth it Im delighted with my purchase. Nice watch but brought it aa a Christmas gift. So dont know what the recipient thinks. Beautiful watch and very fast delivery. Lovely watch and helpful lady helped me make it fit perfectly! wouldnt buy a watch from anyone else would recommend to anyone! 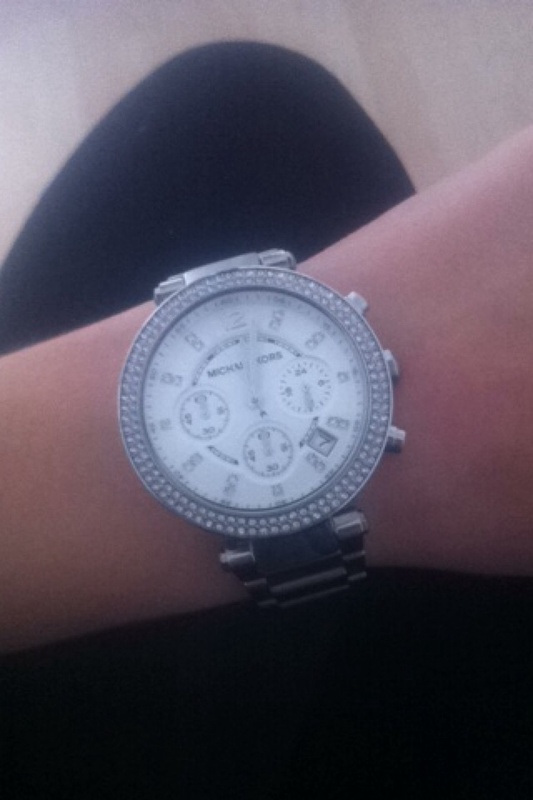 wanted a micheal kors watch for ages so a perfect 18th birthday present !! This watch is absolutely beautiful, it came the next day which I was very happy with. This was a present for my niece on her 21st birthday she was very pleased. The watch is very elegant classy and has good workmanship. Lovely watch very stylish goes with a lot. Had a look everywhere online, this was the cheapest UK seller of the genuine article and had great reviews available to read. Watch was a birthday present for my partner that she had already hinted at heavily, so finding it at this price was fantastic, a good 80 quid cheaper than the usual high street jewellers. 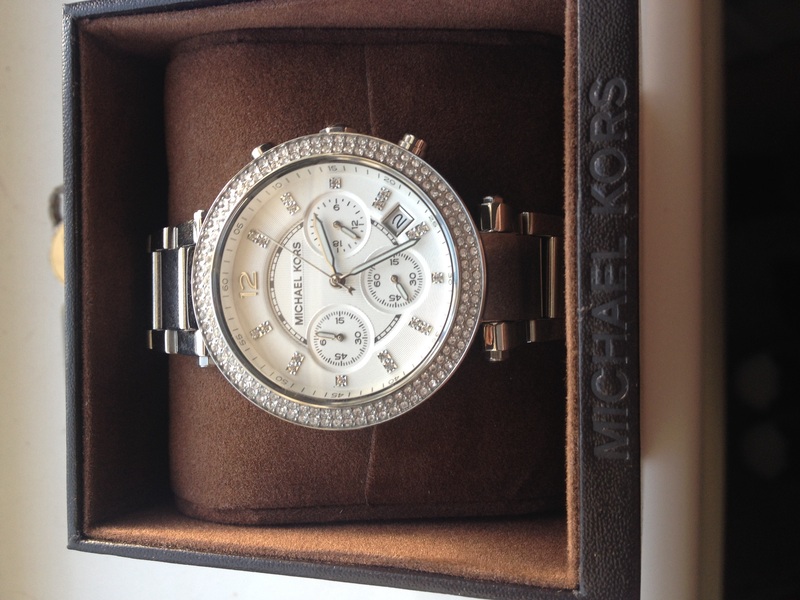 Delivery was exceptional arrived two days after purchase, wrapped in ws protective box then the kors presentation box, very happy with it and the service cannot recommend them enough. Very nice watch that I bought for my girlfriends birthday. It looks great on her and the colour is perfect. Very quick easy delivery service and My girlfriend loved the product. I brought this for my wife and she loves it. Good buy. Product was perfect, fit great, looks amazing, very happy. 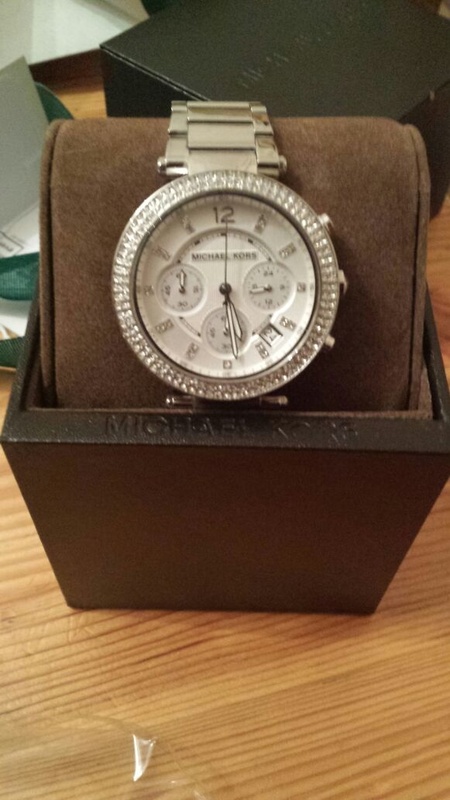 I received the Michael Kors silver Parker watch for my birthday after wanting one for a long time! I was not disappointed it is beautiful and Ive received many compliments on it. Its really sparkly and catches the light well. It needed a couple of links taken out to fit perfectly but this was quickly and easily done in a goldsmiths store where I had it delivered to for free which I thought was great! Love it! What a bargain  This watch was over £200 everywhere else and delivered within 24hrs. Do not hesitate to use this site. very nice watch ..love it..
Just got this watch and cant stop looking at it! I actually forgot it also tells the time its so beautiful! Ordered it yesterday morning and got it today in Ireland. also they adjusted it to fit my wrist so no need to go re sizing it now! Amazing service and better price than anywhere else online or in shops. Well worth buying! Thank you so much!! 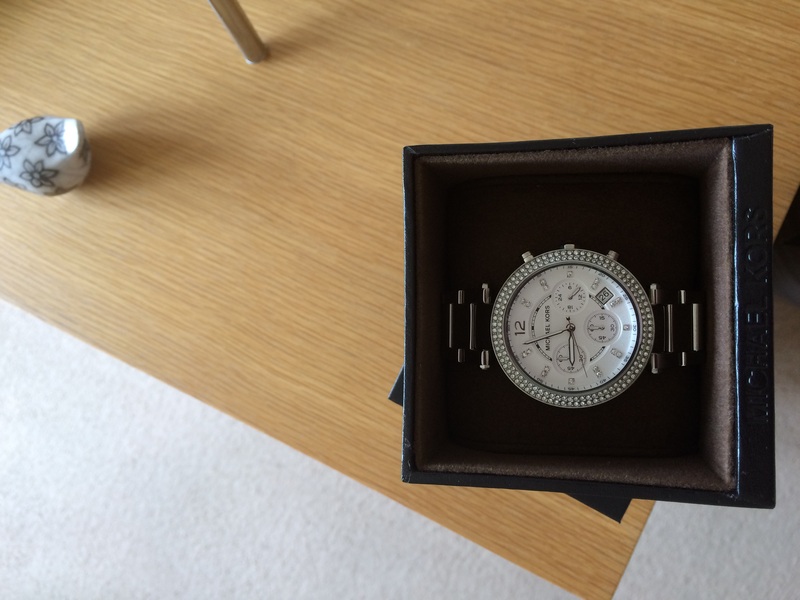 Purchased for daughters birthday, lovely watch, great quality. Fantastic watch . So elegant and nice and clear face. Excellent service, used click and collect from store. Would recommend watch shop. Oh my word what can I say. The watch is STUNNING, STUNNING, STUNNING!!!! Postage was so fast and collecting from Goldsmith helped so much. Staff was of top quality and helped me with extra insurance. Cant wait to buy one in gold!!!! I brought this watch for my wifes 30th Birthday. The watch is perfect size and with the right amount of bling its not too in your face. Very happy with the price, delivery and service received. Perfect! I was a little worried ordering online that it may be a fake especially as it is such a good price. Be assured it is not a fake. The watch is absolutely beautiful. It arrived quickly, and I love it! Beautiful watch. No damage to the watch. The box had a small dent. But nothing to about. Must say the delivery time was incredible. Ordered on the Sunday. Received Monday. No problems. I ordered a watch for my best friends birthday and was so happy with how quickly my order came and the packaging was suitable to keep my order safe and secure. I would recommend ordering from the Watch shop and will definetly be using it for future purposes. Fast and reliable delivery service. Over the moon with purchase and exceptional price also. I bought this as a present for the wife, she is so pleased with it. It is a lovely looking watch. Service and delivery could not have been better. Excellent service ! Quality product, extremely happy with watch shop. Excellent service from The Watch Shop. Straight forward ordering and delivery made on the advised day. Slightly disappointed in the actual purchase due to me not realising the watch face wasnt as big as I was expecting and the back ground on the face in a white rather than silver. I bought this for myself and I am really impressed. Its slightly thicker then I was expecting but it looks really ice. Have had to have it resized and I havent worn it yet but would recommend. Fabulous, very stylish love it! The product itself was a present for Mothers Day and she absolutely loved it. The watch is of a very high quality standard and comes exactly how you see it online. At first I thought the face was going to be too big for her wrist but it fitted perfectly minus some links she needed taken out of it. I was more drawn to this watch over others on the basis that it came with the Michael Kors guarantee should anything not go to plan. My mum was looking for a watch that wasnt too flashy but still had some sparkle and was essential that it had a date on it. The watch ticked all the boxes that I was looking for in a gift. 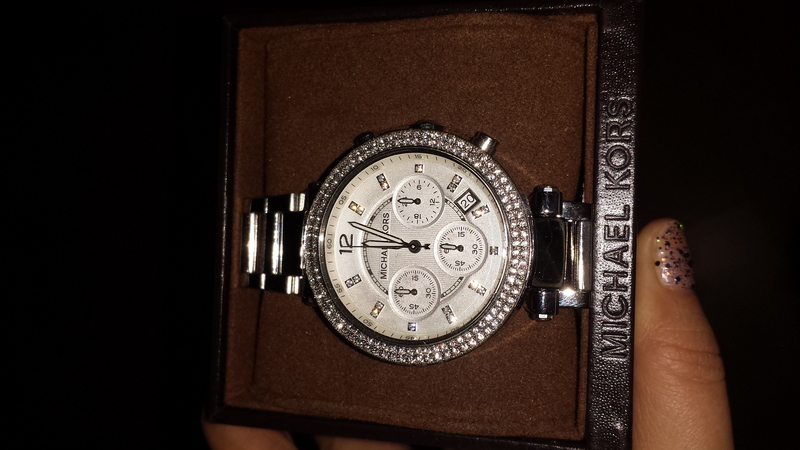 Having used Michael Kors before I knew the watches were lost lasting ive had mine for 5 years and worth the money. I would highly recommend this product to others considering the brand. Beautiful watch, very chic for all occasions. Collected from Goldsmiths the service and staff was excellent, very warm and complimentary. The price was fantastic from the watch shop. Will use them again soon. I bought this watch for my finacee as a Valentines gift. Personally I thought it was too big for her wrist but she abasolutely adores it. 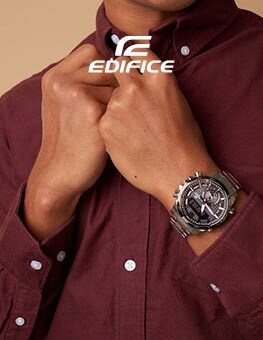 The watch itself is well made and very stylish and is exectly as it appears in the picture. The weight was not too much despite it being a large watch. 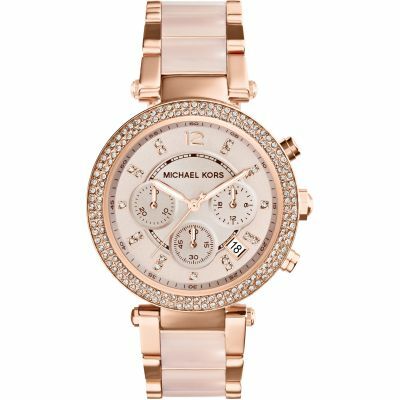 If youre a Michael Kors fan then this watch will not disappoint. Product arrived in good condition. Arrived promptly, was ordered on a Thursday evening and arrived Monday. Watch is slightly big with a few links having to be taking out but not a major problem. Bought for my girlfriend for Christmas, she loves it. Took it to a goldsmiths shop to get adjusted hassle free easy and didnt cost anything. Gorgeous watch lovely on its so sparkling everyone says its gorgeous I love it.and delivery was quick definitely a must buy price is great too. Exceptional service, fast delivery. Item perfect! I ordered this watch yesterday and recieved it today order 3041210 the delivery was excellent. Im so happy with my purchase the watch is just so beautiful its not too over the top but still will catch a persons eye and could be worn as a statement piece. When the light catches the gem stones they sparkle and make the watch look so pretty, I would say the watch is on the medium to more chunky size but not too big if you are looking for a more bracelet type watch this isnt for You but if you are looking for a classic more basic but beautiful and elegant eye catching watch then you will love it. Im so please I dont know why its taken me so long to purchase it... Item and service from watch shop I couldnt ask for any better. Watch arrived quickly and very happy with it. Fits perfectly and size just right - not too big nor small. fast delivery ,really good quality stylish watch ,ive had so many complements. This was bought as a gift to my wife for Christmas. The service from Watchshop was excellent and the item was quickly dispatched. I received tracking emails and texts to inform me of the progress of the delivery. 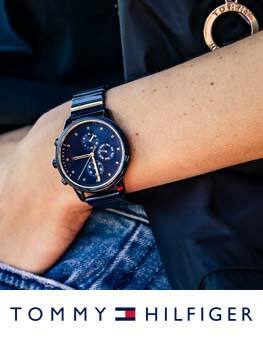 The watch Itself is very stylish and we are very happy that we chose this model. The price was very competitive and could be combined with offers on the webpage. Great service. Nice watch as good as the picture. Very very happy with product and happy with service and speedy delivery. I have used watch shop many times and have found they offer the best service including discounts on purchases and postage. My orders are delivered quickly with regular updates of where my order is. Packaging is excellent my orders arrive intact with no damage to the original boxes. I love everything I have bought as do the family members who received them as gifts. The watch I wanted for a while was online and in stock for an amazing discount price. I am so happy with my purchase. Its so beautiful and exactly like the pictures! I purchased it in silver which goes with a lot of clothing items and other jewelry. Diamonds around the face of the watch but not too many so its over powerful. Really casual but yet great for a classy night out at the same time. It comes protected wrist straps with a plastic film to protect from scratches etc which I was really happy about. It was boxed in actual Michael Kors packaging. It arrived securely wrapped and on time. Whenever its worn its admired by many. I will be ordering with Watch Shop again! Excellent quality. 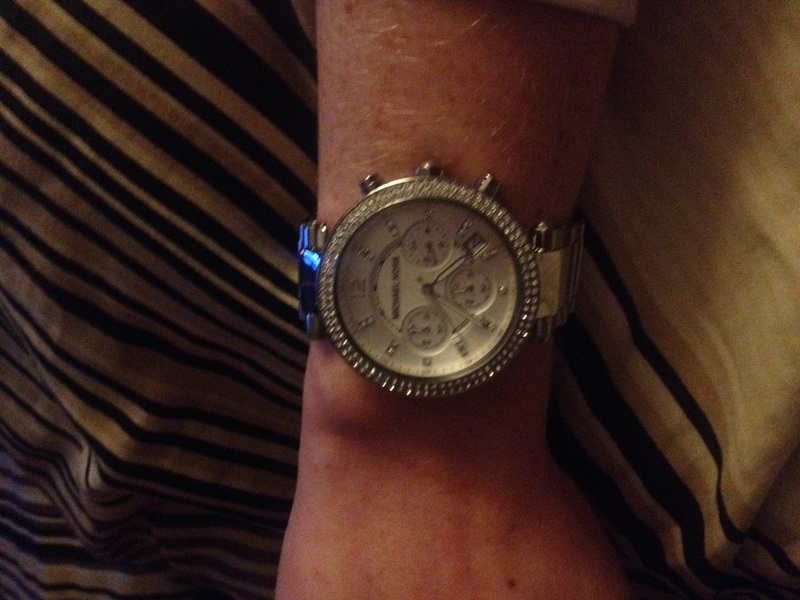 Wasnt sure if I defiantly like it from the photos on here but when it arrived I was very happy its a beautiful watch. Excellent watch. Bought for a friend. Looks a million dollars. Very happy with this purchase. The watch is beautiful! Stunning and amazing quality. The dimonds make the watch look so classy. Brilliant service. Came the very next day. Well recommended. Beautiful watch at a fantastic price! Looks exactly as described in the item and the photograph. Fantastic quick delivery service and arrived very safe and secure. Fantastic watch. Bought as a gift for my girlfriend, who loves it. 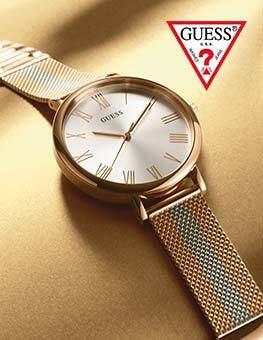 Great, stylish yet modest look, that would look well worn as an everyday timepiece or as an evening accessory. The watch face is a decent size didnt want a tiny face, and the bracelet is slim and comfortable. 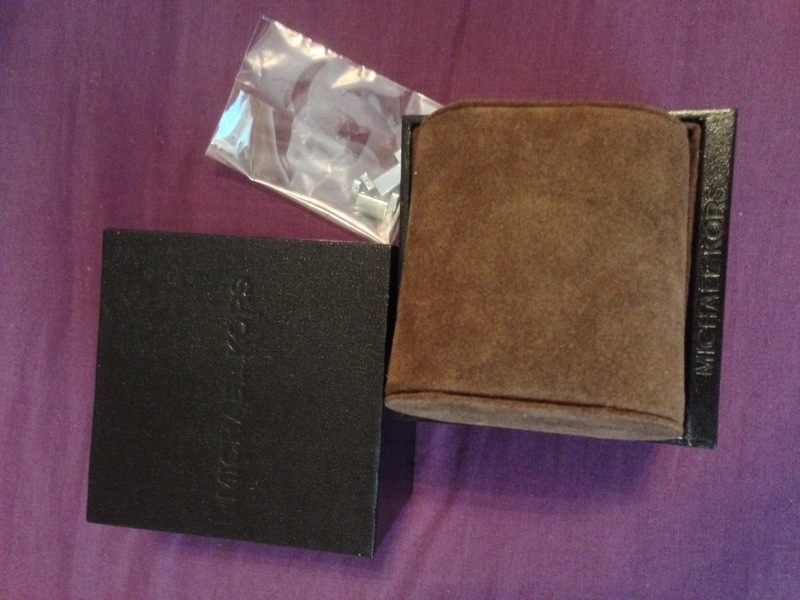 Very pleased with this first Michael Kors purchase, and would recommend to anyone! Excellent quality watch. Quite large for a ladies watch but that is what my partner liked. With the white face and polished chrome it is a very noticeable and attractive time piece. delivery was fast and precise and care taken with packaging. will definitely be a repeat customer. Very pleased with my purchase and looks lovely on. Delivery was very quick and would definitely be purchasing again! LOVE this watch. Looks even nicer that the picture. Lovely and sparkly and really catches the light. Ordered on the friday and was with me by the Saturday! Excellent product and service! The delivery of this watch was very quick .we havent been able to view the watch yet as we recieved it gift wrapped .as it is a christmas present . Amazing, just what I wanted. Thank you. Item was as expected. Just perfect. Excellent service with super fast delivery. Would defiantly recommend. 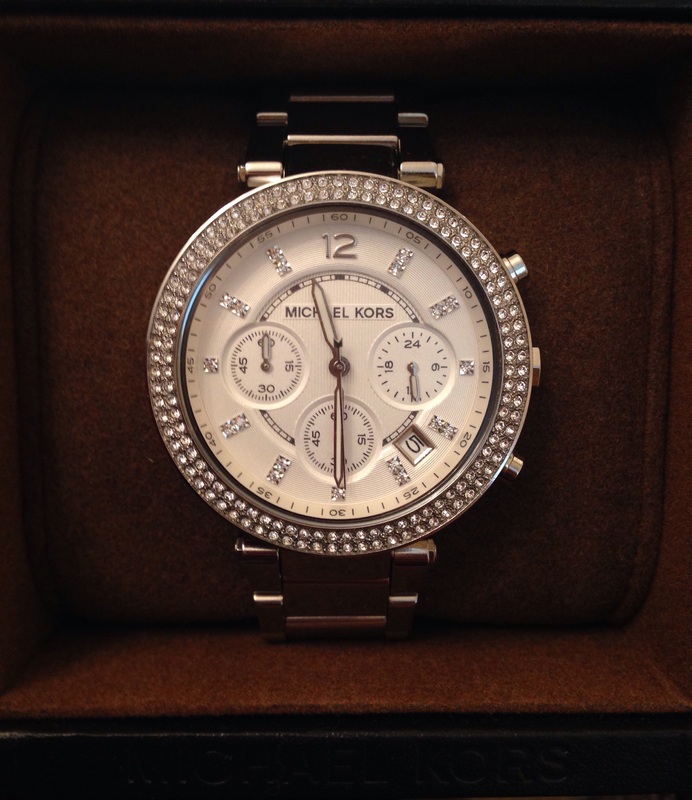 Beautiful looking watch for my daughters 21st birthday at a reasonable price. Goldsmiths Eldon square Newcastle staff extremely helpful when I picked the watch up. Overall great service. Exellent service fast and reliable brilliant customer services must most of all the better half loves the watch ,happy days ! great looking watch.feels really good quality.very good service from watch shop.Was a present for the wife and she loves it.Needed the strap adjusting so took to a local Goldsmiths and was done free of charge,no hassle. Love the watch shop perfect service! Excellent delivery and perfectly packaged. Well worth looking into the finace side as well just to make things a little easier. The watch is a perfect Christmas present and the face is both traditional and modern. Stunning watch and excellent quality. Bought this watch for my mum for her birthday, she loves it! Beautiful design and watch shop was the cheapest place to buy from! Great service too! We got it altered for free at goldsmiths, I also paid £6 for next day delivery before 9am, item arrived later on in the day so I got the £6 refunded, great customer service and fantastic watch! Can never go wrong with a michael kors watch! Simply beautiful! Clear face to see the time and just the right amount of sparkle! Fantastic watch, even the store staff were impressed with the price. I am not usually one for big watches as my wrist is small I had to have 4 links removed from the strap however this watch was the perfect size, not too big not too small. Would recommend! Excellent service this is the second watch I have bought through you, wouldnt go through anyone else thank you. Great item looks fantastic such a stylish piece of jewellery with the big face and sparking gems ideal to tug on the heart strings of any woman who receives this as a gift. Not being one to wear watches with having such chunky wrists I only spotting it while wandering around the Oxford Street Michael Kors shop on a random shopping trip and falling madly for it. I badgered my fiancé for a month solid mainly deciding if it was worth the heart ache with it inevertably being a snug fit he came across watch shop. It was ordered on Sunday evening and arrived ADJUSTED TO MY SIZE!!! On the Tuesday morning. Perfect fit, quality and sparkle without looking like a 12yr olds, disco nail varnish has exploded on your arm as some do. I never thought Id have a branded watch with a perfect size face, strap and style for me! Completed exceeded expectations! Absolutley amazing watch. Exactly as it looks online. Just the write size, very sparkly and i love it! Michael Kors really do know how to do watches!! Not only looks great but is comfortable. Superb product!!! The service was faultless, and at that price really cant go wrong. Watch shop was fantastic from start to finish! Not only cheaper than well know store departments even with promo codes still was not cheaper I seen the watch shop advertise on an advert before so believed it was a legit site! Also I researched on trust pilot so was happy to go ahead with my purchase! My mk watch is stunning and 100% legit just incase like me you wondered why theres a £100 price difference compared to other shops! They took the links out that is requested and it was a perfect fit! I do own another mk watch so luckily I knew how many links I needed out however there was a guidance measurement for links when paying for the item! I also was updated with emails and a text when the watch was due to be delivered! This process took just a couple if days from paying to receiving and that was standard free delivery! All in all well done Watch Shop for a fantastic service! The service was excellent from start to finish they kept you in formed every step of the way. I love my new watch. After lots of stree I had been sold from other site fake ones so was really pleased with the watch and service. The watch looked amazing thankyou. It was delivered really fast also. Bought as a present, very nice watch, looks gorgeous on, the pics dont do it justice. Would highly recommend. Looks good online but even better in person. My girlfriend is VERY happy with it. The watchface is the perfect size for her arm. It has a nice weight to it and also has a great shine in the sun. Lovely watch. Very pleased with it. First watch I received was faulty and had to be returned. However this was replaced quickly and received within 2 days. Watch is lovely and my daughter is really pleased. Been wanting a watch for a long time now. Came across this and thought it looked fantastic. Just what I was looking for. Really nice fit and beautiful to look at. Very happy with purchase. A must if you like the larger watch. Great watch. Perfect fit. Really heavy and grest quality. Glad chose this watch. We bought this watch as a present for our daughter on her graduation day which is on Friday 17th July. She has not seen the watch but we are thrilled with it and are sure she will be too. Such a good price and excellent delivery to our local Goldsmiths shop. My Daughter was very pleased with her watch, she choose it herself as this one looked amazing. The watch is stunning. A birthday present for the wife. She loved it so much. Next day service was excellent. A great gift for my birthday. The watch is beautiful n quality too. Definitely looks better than in pics n nice and sparkly. Had my bracelet adjusted free of charge too. A definite recommend. Fab value online as in store was 50 pounds more! Beautiful watch high quality looks stunning so jealous the watch wasnt bought for me haha needs adjusted but its a birthday surprise so get it sorted then.Im sure she will admire it as much as I do. The product is everything it was described as, it fits perfectly, and looks absolutely great. I especially like to date window it has, and the diamontes all around the face of the watch too. I was highly impressed with this product. The price was excellent and the strap quality is amazing. The face is beautiful. Love it. I had been admiring my mums watch that she bought from watchshop a couple of months previous. I think this watch is stylish, looks good on the wrist and would be a fabulous gift but I bought this watch for myself. I am so pleased I bought this watch, I love it and it was a great price. Bought this watch for my daughter and she loves it. From ordering to receiving the item the service was fantastic i would recommend watch shop to my friends & famliy. Lovely watch, very attractive without being too blindly. Very happy with purchase. What can I say I absolutely love it. Just the right amount of bling. Nice and chunky but still looks feminine on. Lovely looking ladies watch, quality of the watch is very good for the price. Would recommend this to anyone. The watch is a very stylish watch which doesnt look out of place at any formal or informal occasions. You would expect a watch that looks like this to be very expensive, it looks expensive but is affordable. The watch looks beautiful and has a good weight. The face is oversized for a lady, so be sure this is the style she wants. Looks very elegant and can be used for an everyday business look or classy going out look. Absolutely love this watch - treat myself to it with birthday money from my 21st and I am so glad that I did! I have quite skinny wrists so was worried that it would look too big and hang off them however the face is just the right size and after getting some links taken out courtesy of watch shop it fits perfectly! Adds a nice bit of bling to any outfit - would definitely recommend this watch to anyone! Absolutely lovely watch! Bought it for my girlfriend and she loves it! Amazing colour and looks beautiful! Would definately recommend to anyone! Ordered this watch Tuesday evening it arrived Thursday morning, the watch is exactly like the picture advertised, the item looks and feels expensive, it is heavy but with the clasp its very secure so it wont fall off, the face of the watch its big and bold, its easy to read, its clear and easy to understand, the instructions are helpful to help with changing the time, date, and how to work the stop watch. the box it came in was very sturdy and protective. I am very pleased with the quality and the feel of the watch, its very comfortable to wear, the watch is beautifully made, I cant see any imperfections, I would highly recommend this watch to anybody, well worth the money, will be using the website again. Absolutely love this watch! Its a beautiful silver, not too bling and perfect for everyday wear and occasions. The dial is a great size, lovely shiny diamonds and looks so good on the wrist. Its very easy to change the time and date and the stopwatch feature is very useful. Had many compliments and it really was a fantastic buy ans do not regret! Gorgeous watch, I love it and at a brilliant price compared to high street shops. The watch is absolutely stunning and looks fantastic on. Although the watch is chunky it doesnt feel heavy. It really can be dressed up or down due to the style and diamonds round the edge. Fantastic price and service -delivered the following day! Bought this watch as a gift for my partner on Valentines day. She absolutely loved the watch! And has barely taken it off since she opened it! It is a beautiful watch and look really good on. A good sized face for women especially as my girlfriend is quite petit it looks classy and elegant! Just bought the watch for my birthday, and it is beautiful! 100% better than the pictures and so worth the money. I would recommend everyone to buy the watch...it matches me perfectly as I already have a rose gold watch which is another brand. I love it...cant wait to wear it!! A great watch in silver with diamonds around the face but not too blingy. Its a good size and perfect for ladies with small wrists as it doesnt look too big. I would definitely recommend this watch as it looks great, is fantastic value for money and very stylish. ordered this watch for my daughters 18th birthday. Overall very nice looking ,not tacky and very trendy. she was absolutely delighted ! This is a lovely watch and looks very dressy. It came with the strap already adjusted as I included my wrist measurement with my order details so it fits perfectly. I absolutely love love love this, its so beautiful, easy and go with everything, like the colours, like the stones around surface! Excellent delivery time came first thing next day- as described. Not sure if any links have been removed, as none in box, but I over allowed for the extra 1/4as its too big, was worried it would be too small and I wouldnt be able to wear. 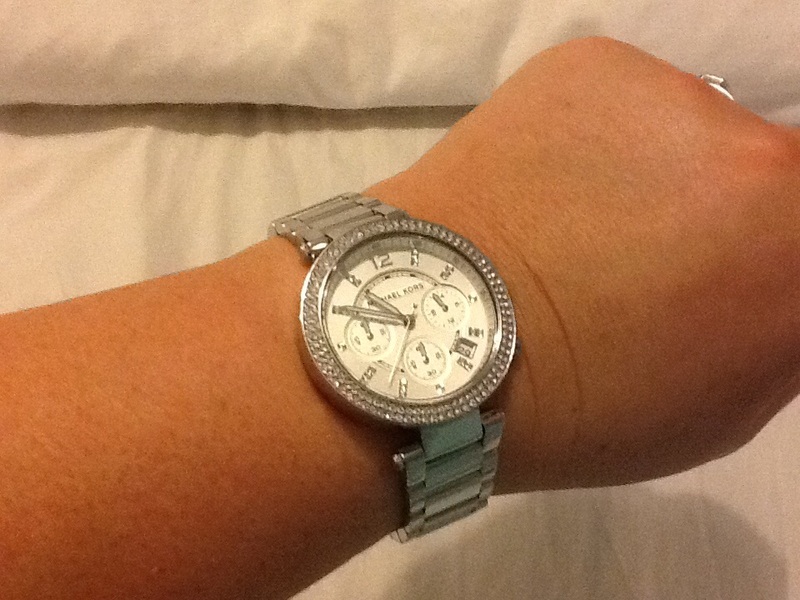 If your a larger lady this watch I think would fit a 21cm /8 wrist span easily, as I believe mine is still at manufacturers size -due to know links in box. AND cheaper than Ive seen in any high street jewellers or on-line. GREAT so far. 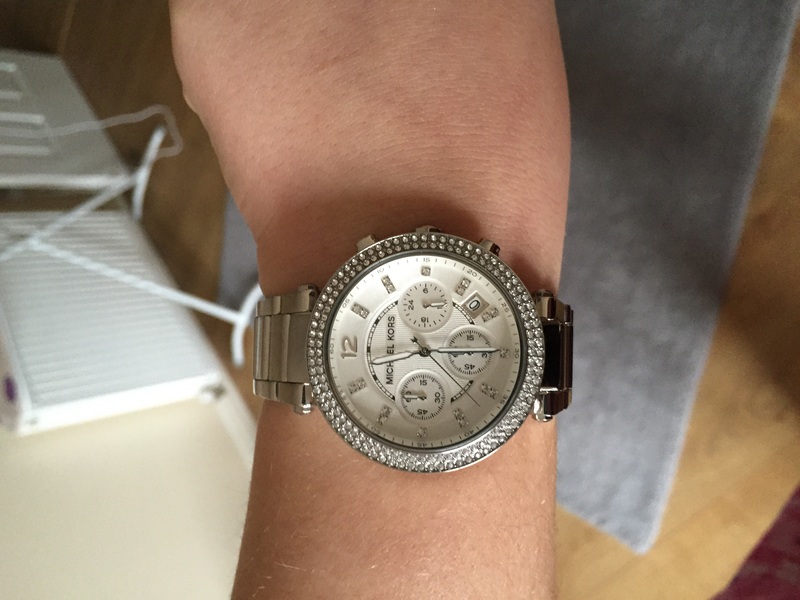 Love my watch the colour and style and its fab quality and looks amazing would recommend . I love it, very good qaulity, attention to detail, very comfortable although I did give my wrist measurements and when I recieved it it clearly hadnt been adjusted as was far too big! Its quite chunky wouldnt suit a small dainty wrist, the watch face is quite thick itself. Its quite heavy but overall once it had been adjusted im very happy with it, its a really beautiful watch. Bought this watch for my daughter for her birthday. She absolutely loves it. Comfortable and looks great! Easy to have links removed. Can wear it for casual or a night out. This is a beautiful watch! The picture does not do this watch justice. Very quick delivery & very easy to get this adjusted to my size in store. The face of the watch & design are just what I was looking for dressing up & even down, it has not left my wrist since purchased. I would even consider buying this in another colour. So glad I treated myself. 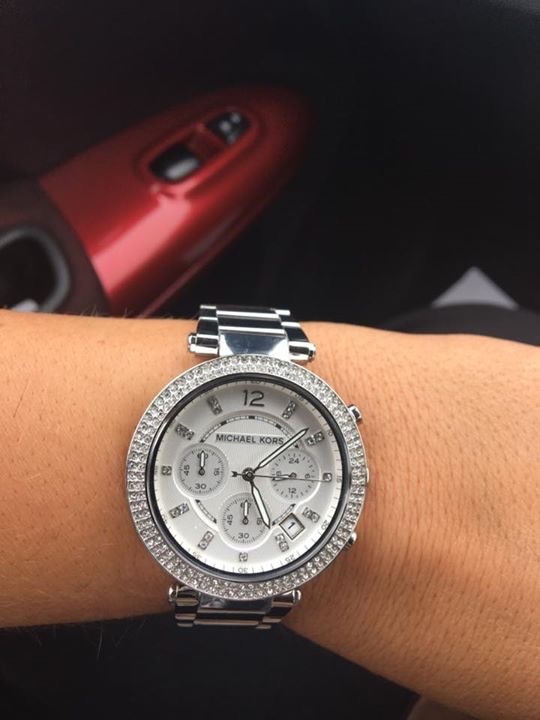 which i am using as a screen protctor because i dont want to scratch it haha I am very pleased with my purchase and would definitely recomend this website to anyone looking for a glitzy/girly but sophisticated watch. I love the color silver as it matches the bracelt i have, which is why I bought it in that color although i can tell it may scratch a bit on the strap from everyday use.The delivery was fast and it came in beautiful packaging. I will definitely use the watchshop again, weather i buy for gifts myself. I absolutely love this watch. Michael Kors is huge at the moment, and this watch is my favorite of his pieces. Bought it for my wifes birthday present. Have to do that either. She loved the watch it was what she wanted for a while. 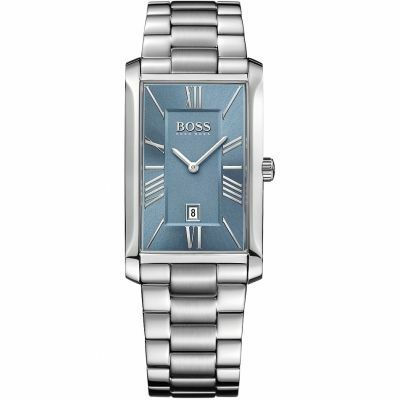 Its a well size watch its looks really nice in sliver and the style is well appealing. It took a long time to choose the watch I wanted but then settled on this one. And I love it. The watch is beautiful and is perfect for both days and nights. It also has a good weight to it and is robust. All of the features work really well. I am very pleased with my choice. Its a real chronograph and is big but without being masculine. Gorgeous big watch, a bit heavy but I love it. I like the big face so easy to read. Very glitzy but not too glitzy, they got it just right. 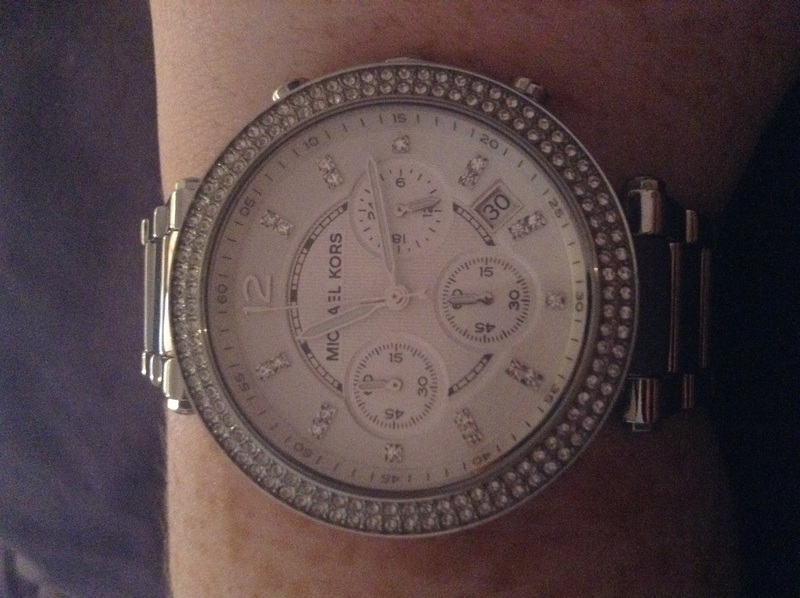 I love my michael kors watch exactly what i expected very pretty and not to chunky! Really sparkly and catches on the eye. Wpuld recommend to anyone!. 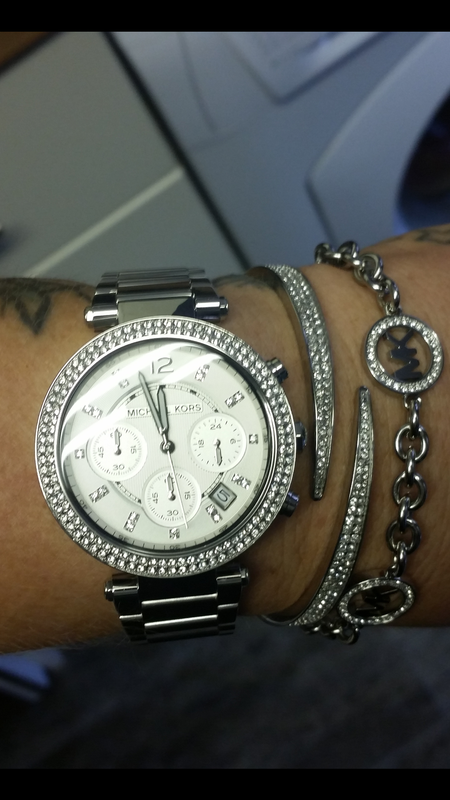 I am so pleased with my watch, i chose the silver one to go with my bracelet and they look so good together. Im only skinny so it was big on me at first but links where easily removed. It was for my girlfriend and she never stops showing me she loves it, it was her 20th birthday! Great design, very lady like and sleek looking! But sure to stand out as a beautiful watch! Really nice watch with a balance between size and blind. Its a nice size and keeps it in the feminine bracket unlike some others which look a bit like a small gents watch. Its dressed up enough but not overly blind. Love my new watch after hesitating if to order I a very pleased I did ! Easy ordering process, Fast delivery, highly recommended. Beautiful silver watch that sparkles when the light catches it. Looks much more expensive than it is. Ive had lots of comments when Ive worn it. It comes quite big but the links are taken out free of charge. I was worried the face may look too big as I have tiny wrists but it doesnt it just looks classy. I was so pleased with it ,I bought the locket braclet with crystals to match so I could wear it on the opposite wrist. This watch is an excellent price, excellent quality and I love wearing it. Absolutely lovely watch , smart and shiny. The gem/crystals around the outside of the watch face catch the light and sparkle making it a wonderful feminism watch. 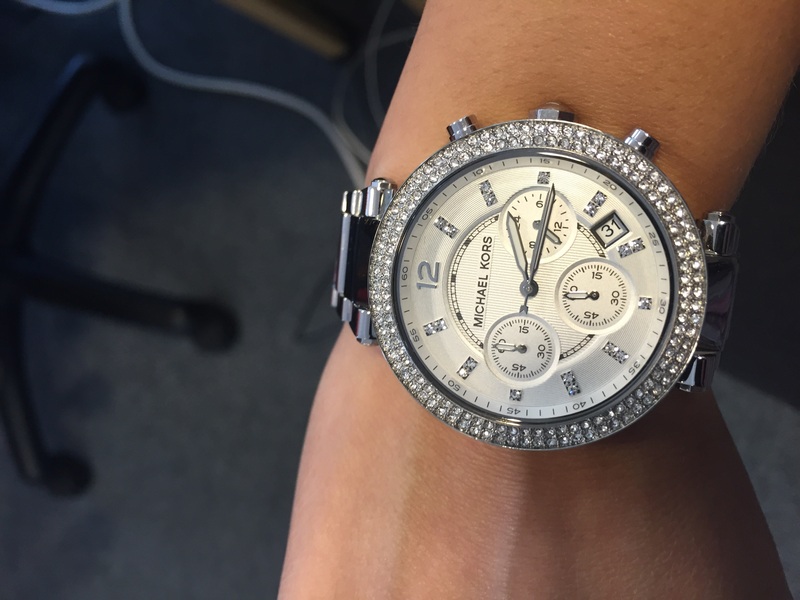 i had my eye on this Michael Kors watch for a while , what drawn me to it was the big face and diamante features. The watch is very fashionable looking with a silver metal bracelet & white and silver sparkle detailed big face which also includes the date. It is very easy to set the date and time by using the middle button on the right had side , you just pull it out and turn accordingly. The hour numbers have been replaced by silver glitter dashes but around the outside in small numbers it gives you the hours past to help people who maybe struggle with telling the time which is good. The watch is fastened on with a clip mechanism and to take of its a press and realease which is better than some fiddly clips other watches have. All in all this is a fantastic watch and im very happy with my purchase , highly recommemded ! I was a bit on the edge with buying this item as a few friends of mine have said the diamonds fell out. However with a reasonable price I had to get my hands on it & I can honestly say, the best decision Ive made! Looks stunning on & doesnt look too blingy! The diamonds on the watch are the best part! I would 100% recommend this product, you will not regret. This was an excellent purchase. 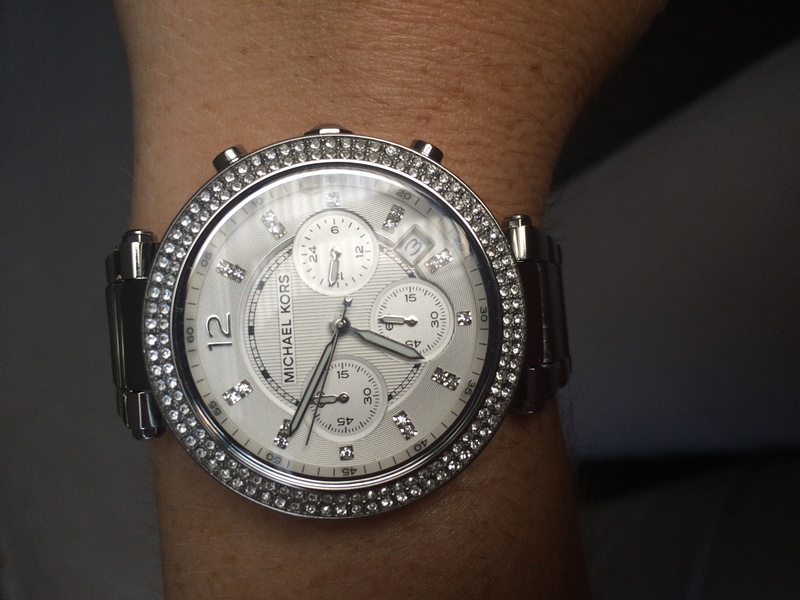 This is my first Michael Kors watch and was much more than I expected. The face is larger than normal watches which is ideal for me as most womens watch faces are small. The design of the watch is unique in comparison to other watches. The watch stands out without having to wear other jewellery accessories which is great. For me there are no negatives as this exactly what I wanted in a watch, which is rare. I chose the silver option as this is my favourite colour and also my jewellery is the same colour.There is some bling on the dial which enhances the watch face. I would recommend this watch to others if you want to stand out from the crowd and be noticed. Love the watch! So lightweight and looks great for every day use and special occasions. The wife loved this watch for her birthday, great quality at a great price. The pick up at shop service was great too. The ocitures off the watch are a true reflection of what it looks like in the flesh. Great product. Wow, wow, wow, just love my beautiful watch. It looks great, all bling and glitter. Brilliant service, great product, good price. Everything made a easy and a quick delivery. 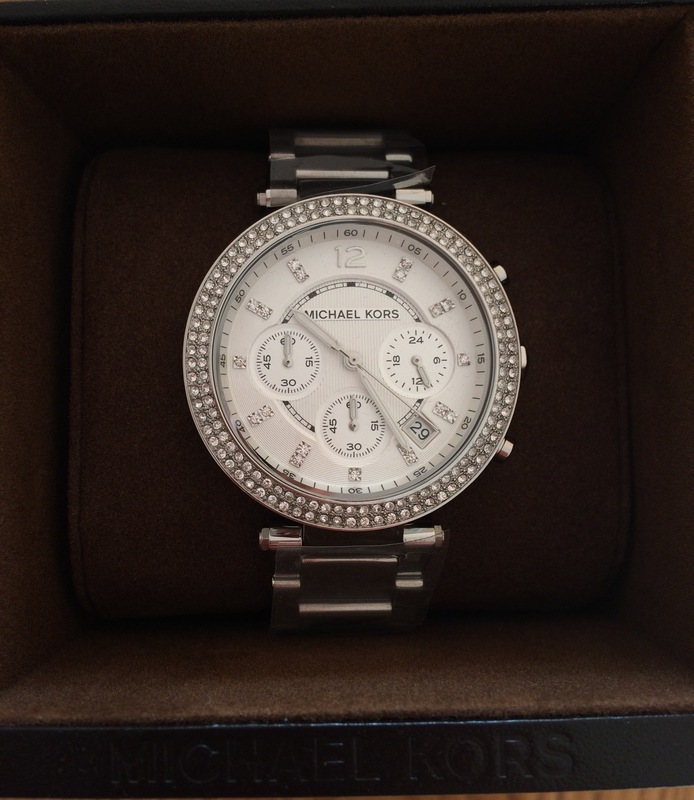 I ordered the silver Michael Kors watch and it is perfect. It fits perfectly and Im really happy with it. I love the detail of the crystals around the circle of the watch and they style of it. It has a unique style and is good for going out and casual wear. 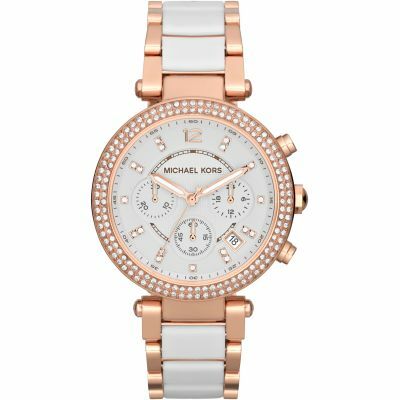 There are a lot of Michael kors watches to choose from but I would recommend this one. 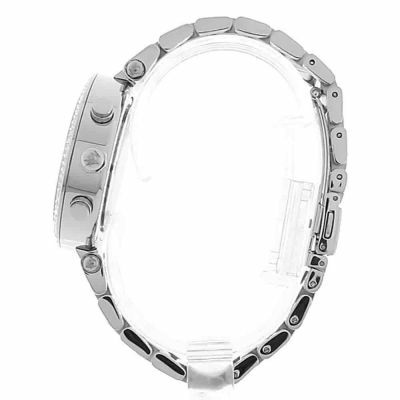 It has a nice silver shine to it and although its quite chunky, it fits well on all different size wrists. Lovely watch, very good quality, comes in a named box. Shiny bright silver with a very sparkly dial! Brought as a present and she loved it! Lovely quality and style. My daughter is very pleased with her gift brownie points for Mum too. 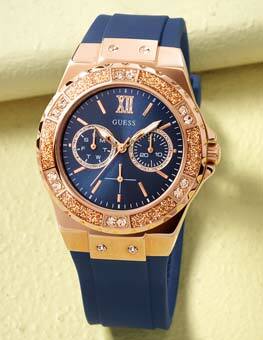 A very good quality watch with a robust design but enough bling to make it feminine too. Beautiful watch. Classy looking with plenty of bling. Partners Christmas present and she was very pleased. Love it. 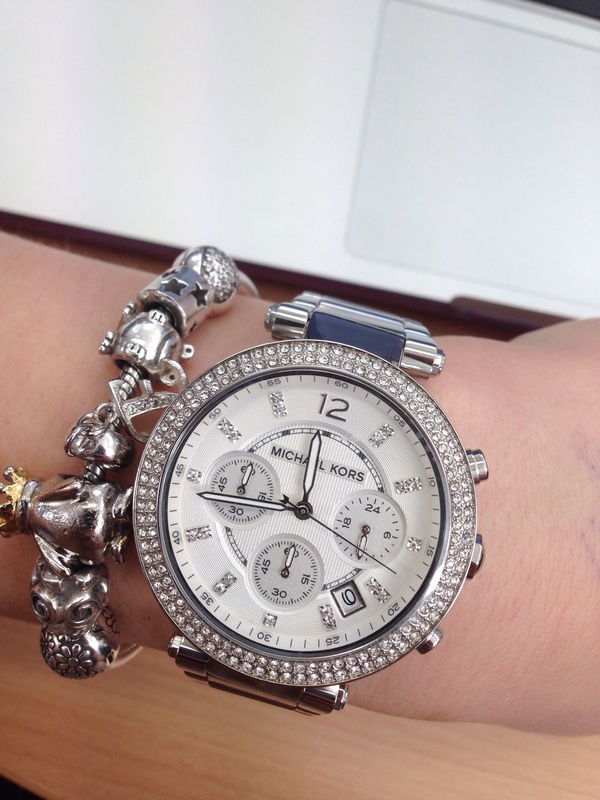 Saw a slightly smaller Michael kors watch in silver and it didnt have anywhere near the same impact as this one. It does have a slighty bigger face, but once you get used to it, its lovely. Ive had lots of compliments. Only downside, it scratches easily. The watch was perfect, looks great and my girlfrind was delighted. It was delivered on time and the giftwrap was lovely, a nice finishing touch. Great service, fantastic product. I bought the watch as a present for my fiance, she loved it. Its just the right size I was concerned it maybe too big based on the picture and just the right amount of bling. Overall it feels like a quality product so we are very happy. Delighted with the watch and service of Watchshop for a speedy delivery process of Michael Kors watch for my wives birthday. Overall I would not hesitate at all to recommend to family and friends your website when ordering a watch. 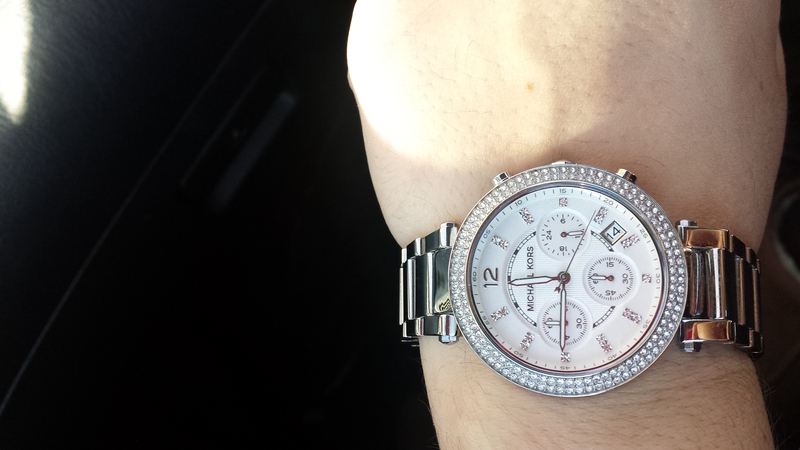 I am very pleased with the Micharl Kors watch I bought myself. It was described very well on the website so I knew exactly what I was buying. When my watch come it was even better than I was expecting. The big face and stones give it a real girly feel. Although I needed a few links taken out as it was too big, this was not a problem. Would definitely recommend this watch to a friend. This is a Brilliant looking watch. My girlfriend really loves it. It also arrived on time and in great packaging, as promised. Beautiful watch brought for my daughter. Great dial and lots of bling, had to adjust strap which was quick and easy to do. Ordered online nice and easy transaction and quick delivery in store. My daughter loves it ! Product was just as I expected, brought as a gift for somebody and they are very happy with IT. A beautifully crafted Michael Kors Parker Chronograph purchased for my gorgeous girlfriend and given to her on Christmas Day. The watch was ordered just a few days before Christmas so I was a little concerned that it would not arrive in time but I should not have worried the watch arrived safe, perfectly gift wrapped on time at the Goldsmiths Jewellers of Bluewater. The whole experience of buying, having the watch delivered to a prestigious jewellers was a sheer pleasure, I would recommend buying a watch from the Watch Shop to anyone who likes to save money on designers watches whilst in the knowledge that you well be treated well. I have uploaded a picture of the box the watch comes in plus links taken out free of charge by Goldsmith’s as the watch is on the wrist of a very happy girlfriend where it should be. a bit to early to say about the reliability of the watch or the quality but on first impression s it looks lovely and my girlfriend was over the moon with it.she says she feels like a million dollars when she wears it and upto now is well worth the price paid.the only negative I have heard about this watch is some of the stones around the face come loose and fall out but upto now all is good. 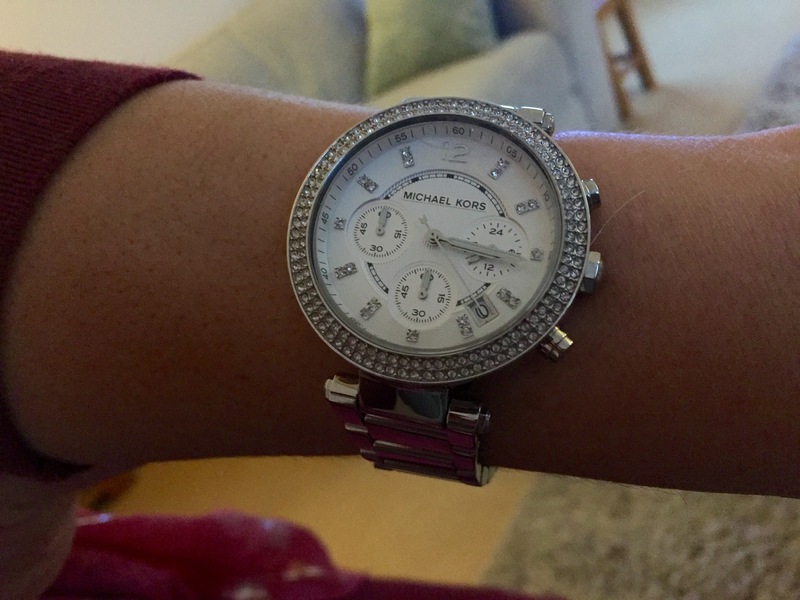 Our daughter had been looking to get a Micheal Kors watch for ages, so we decided to get her this for Christmas. The watch is lovely and well worth the money, we decided to go for the silver one and she wasnt disappointed. Excellent, very elegant looking watch that i bought for the mrs. Very sturdy and fits perfectly around the wrist with slight adjustment. Good extra features and sparkling crystals all round the face of the watch make it a very worthy modern and smart designer watch for the modern woman. 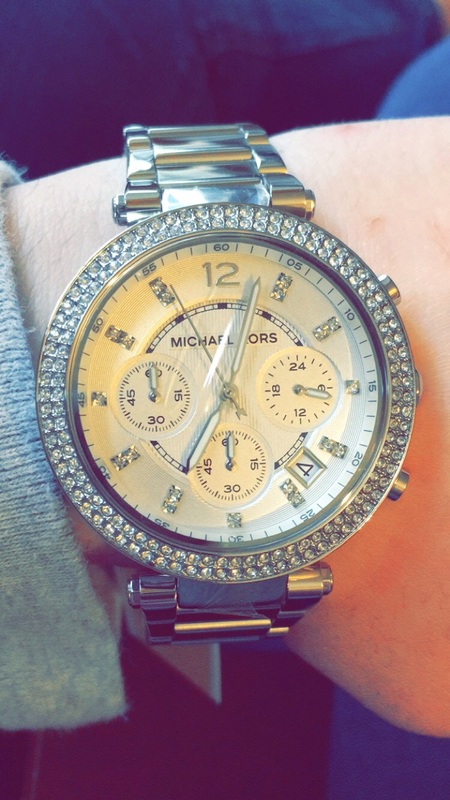 Very happy with the watch, girlfriend loves it too and she loves the diamonds. Very well made and looks million dollars! Links are easily removed to make it suitable size to wear by removing the pins. Overall very happy with the watch and so is my girlfriend so extremley happy. Very pleased with the product I purchased. Was a bit worried that I bought the watch with a watch face too big. But my girlfriend loved it. And we both loved the bling! I will most certainly buy again from you guys! I bought this watch for my Wife for Christmas. 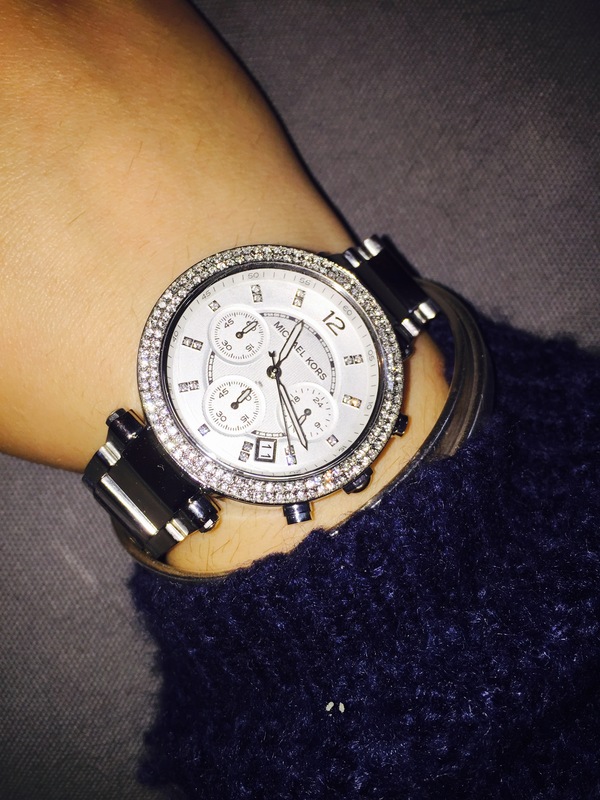 She absolutely loves the watch as its a nice size and the diamanté finish looks absolutely stunning. The finish to the watch is of a high quality. The face of the watch compliments the dials and hands of the watch as these stand out with great effect. The price when I bought this online was tremendous as on the high street it was £90 more expensive so it was a real bargain. A fabulous quality watch at a fantastic price. Stunning looks and quality build. Got this as a Birthday present for partner, she loves it! I must say the watch is very impressive and made to a very high standard, as to be expected from Michael Kors. Pros attractive, sparkly, well made, reassuringly heavy. Cons bought as a special occasion watch. . . She wears it all the time! Bought for girlfriend watch has a good weight to it feels sturdy and looks really nice on as a every day watch. Bought this watch as a gift for my daughter and she loves it! The watch was a bit big for my daughter so we removed a couple of links apart from that the watch was the perfect gift!! 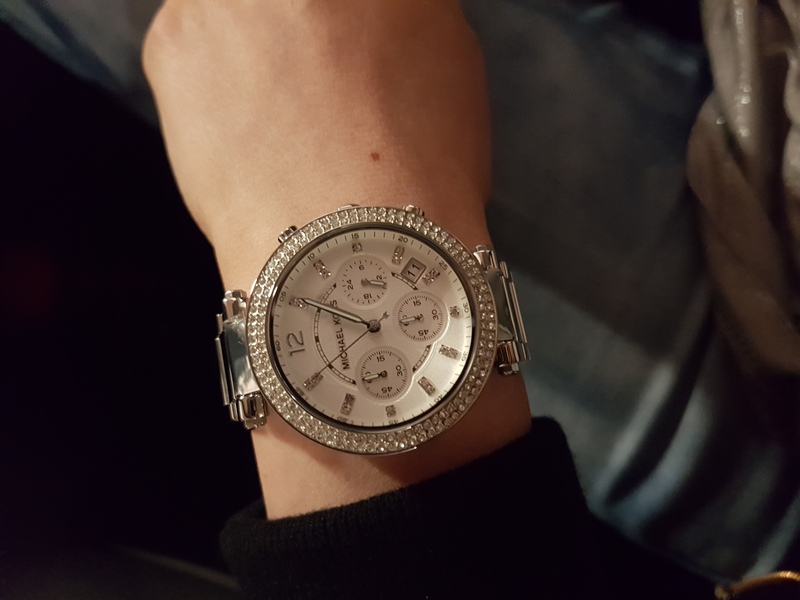 An excellent time piece bought for my girlfriend for her Christmas,beautiful design, she loves the colour, it is lightweight and hardly noticeable when on her wrist! Genuinely happy with this purchase! The watch I bought was perfect it was equal to both the description and picture . Bought this watch as a Xmas present for my fiancé and she absolutely loves it. Looks stunning on. Very pleased with the purchase and got it at a bargain price. Product looks great and the person I bought it for loved it, would purchase here again. Lovely watch on first appearance,nicely weighted.Whether it stands everyday wearing is yet to be challenged.Looks more expensive than it is. Great looking product. Looked very different to similar ones so looked slightly unique in person. The watch was a Christmas gift, the quality of the stone set face is very good and the Stainless steel strap and bezel seems to be a very high quality shiny finish. My wife loved the gift this Xmas, very nice watch - great service. Watch was a little bigger than expected and very blingy but this is the style. 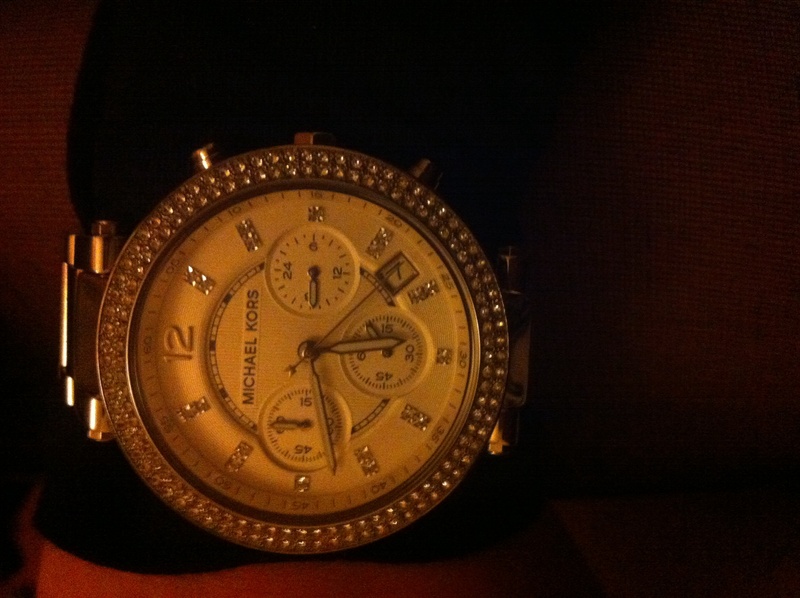 Bought this watch for my 14 yr old daughter she loves it .sparkles like mad when Its on her wrist . This watch is lovely. Its a solid size and weight without being too chunky. 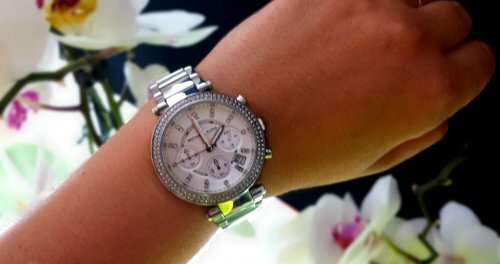 The diamonte detailing is just the right amount to keep the watch looking feminine without being too bling. Fantastic service and a beautiful product with a very prompt delivery my partner was exceptionally pleased with my purchase. Great product, if you only ever buy one watch buy this one. The style is modern and the finish makes it look more expensive than it was. My fiancé loved it !! Was giving as a gift for Christmas, and the person was over the moon. Love Michael Kors watches but have very thin wrists. This size watch is perfect as not as chunky as other designs. Good online price much cheaper than shops. Fantastic watch picked up from goldsmith. A Christmas present for my wife. She really prefers the silver to the rose gold. The watch I purchased was a Christmas present with my fiancé being more than happy with it.i would like to comment on the fast delivery of the purchase I was more than happy with the service. Brought this watch for my wife turned up on time staff at the shop i collected it from were superb the watch was just what she wanted. Absolutely stunning watch! So pleased with it and couldnt find it cheaper anywhere else, so well done The Watch Shop for your excellent prices and speedy delivery! Dont think it would suit someone with a small wrist. Great features and really sparkles when the sun shines. Looks better in real life. Would definitely highly recommend! Love it! Excellent quality and beautifully made, Bought as a gift for girlfriend and she was over the moon with it. Love my watch. Its a Christmas present but Ive looked at it already. 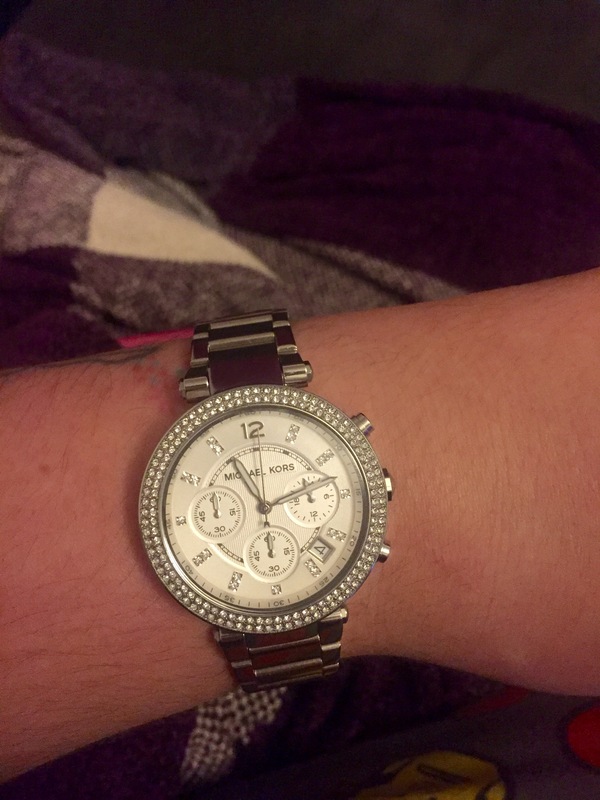 Such a lovely watch and Ive had lots of comments about it. Bought for a present and it looks lovely. Wrapping was handy and very nice. This is a xmas present for my daughter, we are extremely pleased and happy with it, it is beautiful and exquisite, fits and wears like a dream, shame she has to wait until Xmas day to wear it though. Very pleased. Purchased for the Wife for christmas, super fast delivery, well packaged and watch is as should be inside box, Purchase price was cheaper than other retailers. Will use the watch shop again. Got this as an early Christmas present from my boyfriend! absolutely love it! superb service by Watchshop. Ordered friday lunch time, received on the Saturday morning. Great product hasnt left my wrist since it arrived. Absolutely beautiful watch the pictures do not do it justice. Just the right amount of sparkle not too much not too little. Its an Xmas gift but Im sure once I start to wear it there will be lots of comments asking where its from and the make. I choose silver as my rings are white gold and it looks amazing with them. The dial is the perfect size to easily see the time and date and the watch is very easy to set. When I opened the box & saw the watch for the first time I was amazed how beautiful it was. It is a Christmas prezzie for my daughter & I cant wait to see her face when she see it in the flesh. I will dead jealous when she is wearing it, I might have get one for myself!!!!! I would highly recommend it, if you like it on the screen, buy it you will not be disappointed. Great watch, very fast service. My girlfriend is very pleased with it! Well done Watch Shop! The watch looks even better in the flesh than it does the pictures - It seems to be very well made and finished. Beautiful watch. Bought as a gift and not given yet so not worn yet. Lovely looking and very stylish. Fantastic watch at bargin price. Bought for a gift and she was very happy with the watch. Ordered this watch for my daughter for xmas at 1pm on Monday and it was delivered by 12 on Tuesday for no extra cost also with the bracelet being altered. Could not asl for better service it looks beautiful !!! Just hope she loves it. The watch looks more expensive and the diamanté around the face are really sparkly but not so that you would only wear it for special occasions ...beautiful watch!! Absolutely love the watch, looks classy for evening wear too. Wish Id hit one sooner. Extremely happy with the product, its the perfect size, and the colour is easy to match with most outfits! The face is very pretty and the strap width is perfect! given to girlfried who loves the watch. its perfect blend of bling and size to fit the wrist without over powering. The combination of the stone and the white face work perfectly. it sits nicley on the wrist it not too heavy and suitable for every day use, everyone who has seen it has commented on how nice it looks. Very sleak smart n even more desirable close up. The watch is stunning. It is a gift for my daughter for Christmas so I cant comment on the fit. 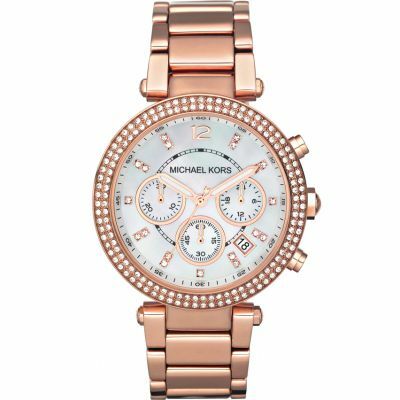 It is a really competitive price and a great way of getting a bit of Michael Kors without breaking the bank! Its the usual silver chunky watch that is very fashionable at the moment and the diamonds around the face are very pretty. Thoroughly recommend. Really great product. Smart and elegant design. I like the detail around the face of the watch. Not much I didnt like about it to be honest. Lighter than what you would think. I bought this watch for my partner for christmas my first thoughts upon opening the box was just WOW. its a stunning watch and guaranteed to make the person receiving it smile. 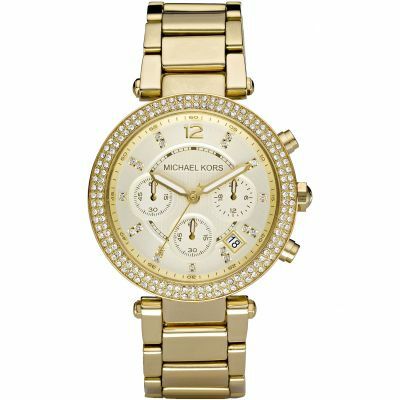 If youre unsure as to which Michael Kors watch as to get you cant go wrong with this one! I absolutely love this watch! Was worried about the head being too big as I only have small wrists but its perfect. Love the diamonds around the head. Would deffinately recommend this to everyone! Really nice and lightweight product. My girlfriend loves it. Everyone compliments her on the watch all the time saying its blingy but sutle at the same time. This is a fantastic watch! Its really stylish with its highly polished shiny stainless steel strap. The face features small diamonds all around the outside . Perfect for dressing up or down! My daughter loves it!! Great service. Fast delivery. Xmas gift so she hasnt seen it yet, but its a very smart watch, and seems well made.